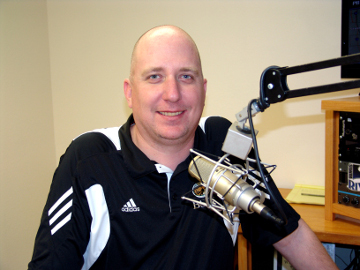 Brian Schultz is the Radio Announcer for the Bemidji State football, men's hockey and baseball teams. He lives in Bemidji, MN with his wife Kelly. Brian has worked in radio in: Red Wing, MN; Grand Forks, ND; Washington, IA; Grand Forks (again); St. Paul, MN; Brainerd, MN; and Bemidji, MN. Brian is married to Kelly. Brian and Kelly have been married for 16 years. They don't have any kids (yet), but do have a Cocker Spaniel named Bucky. 1 - Brian was born in Ann Arbor, Michigan in 1974. 2 - Brian has been a radio announcer since 1990. 3 - Brian has one brother and one sister...both older than Brian. 4 - Brian officiates football, basketball and baseball. 5 - Brian has had his own website since 2000. 6 - Brian LOVES to cook.